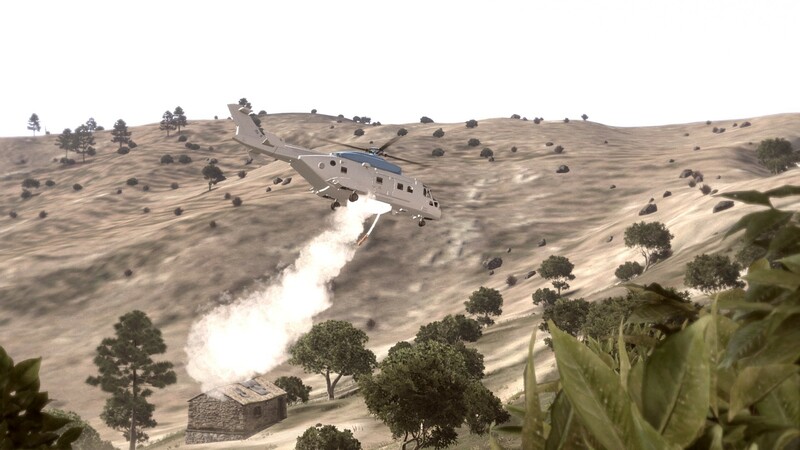 SCmod for ArmA3. Heat your blades above the flames. 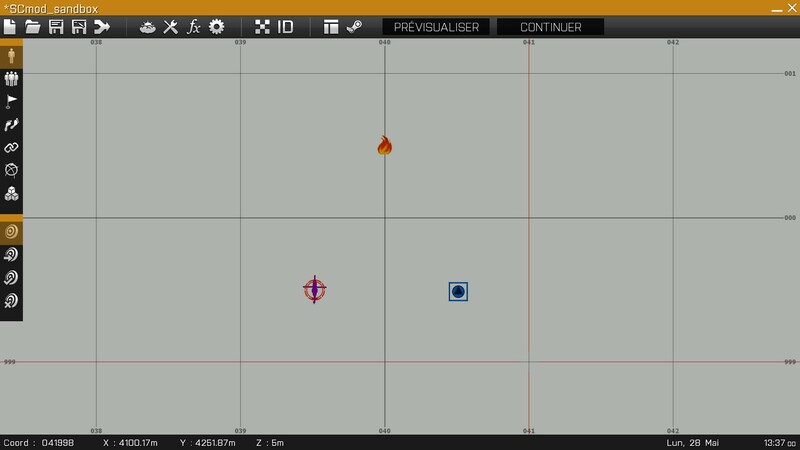 SCmod is a modification for ArmA3. 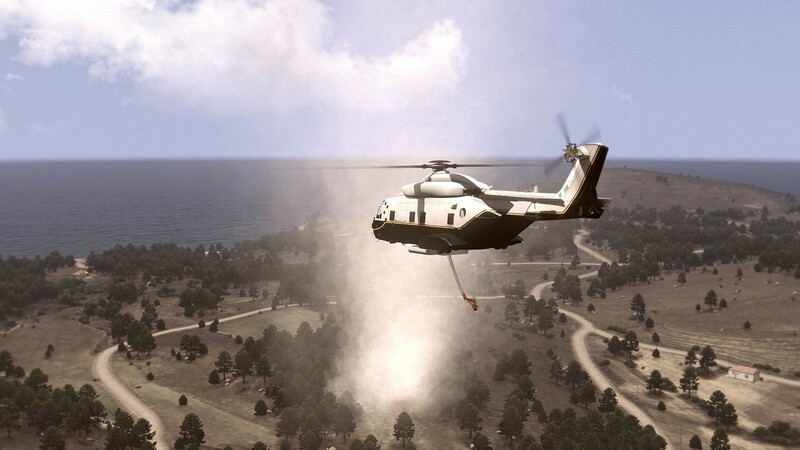 The islands of Stratis and Altis, located offshore Mediterranean, are each summer, subject to dry climates and forest fires. 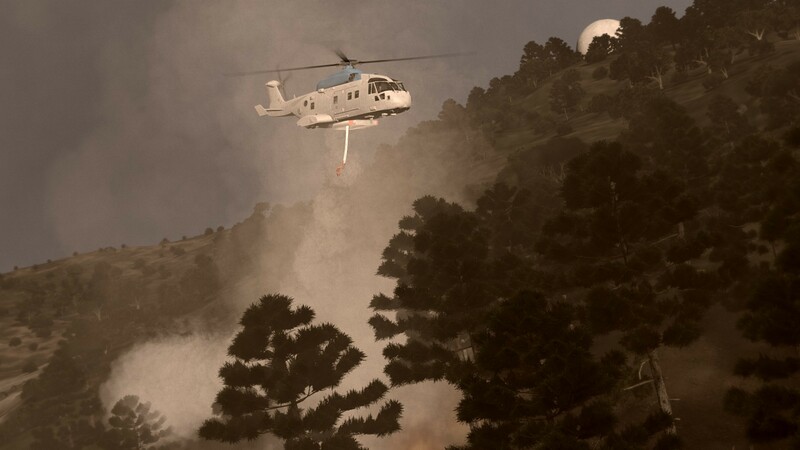 Put yourself in the shoes of a helicopter pilot, engaged in operations against fires. The modification is a module, synchronized with transport or non armed helicopters. The SCmod module handles setting up and the use of a 1400L (370gal) fixed tank, refillable by using a submerged pump. 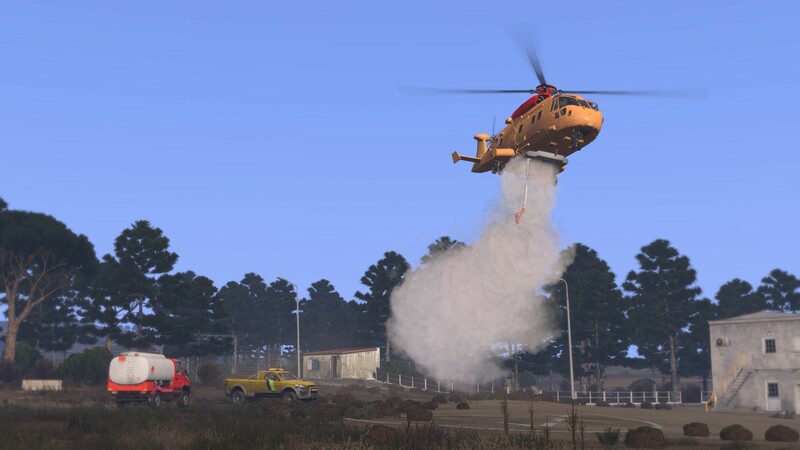 The bushfire is an object (neutral), evolving with time and environment, to be placed on the map independently of the SCmod module. With the aim to evolve the BIS ArmA community, I leave the right to the community (conditions please refer PDF file), to edit SCmod, respecting the rule of thumb to mention my name forward as the original author. I also leave the original files at the disposal of modders.